Listed by Suzanne White, 605-390-0137, Keller Williams Realty.Looking to downsize but don&apos;t want to sacrifice quality? 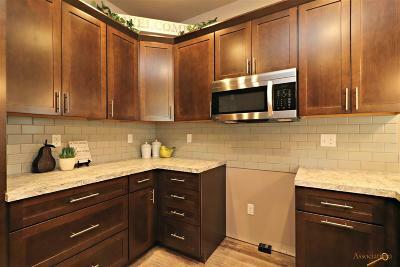 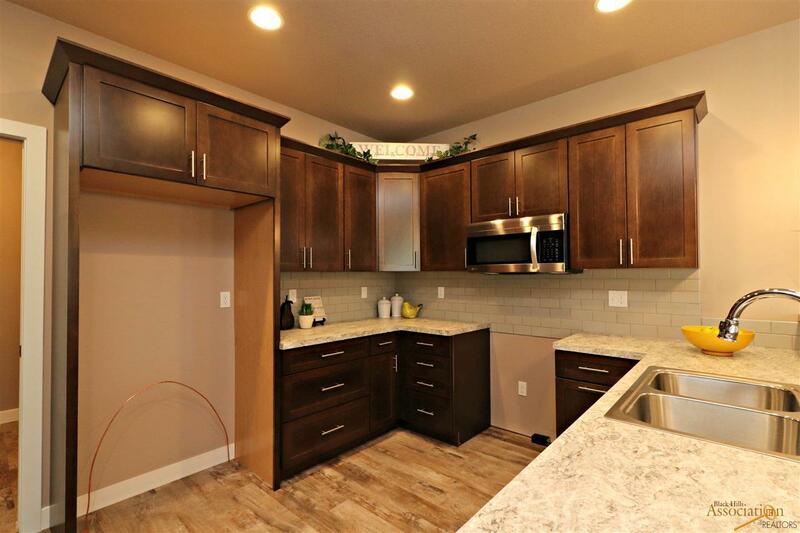 Welcome to this 2 bed / 2 bath luxury town home with ONE LEVEL LIVING! 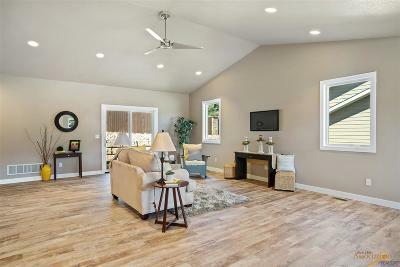 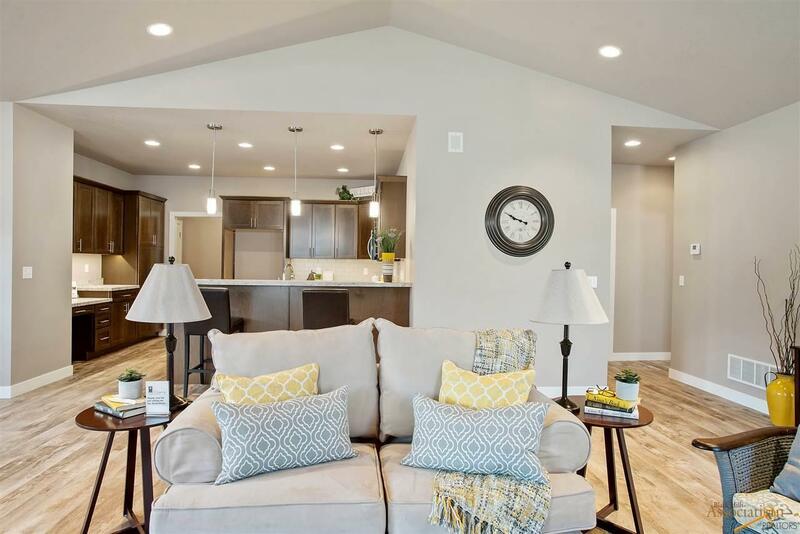 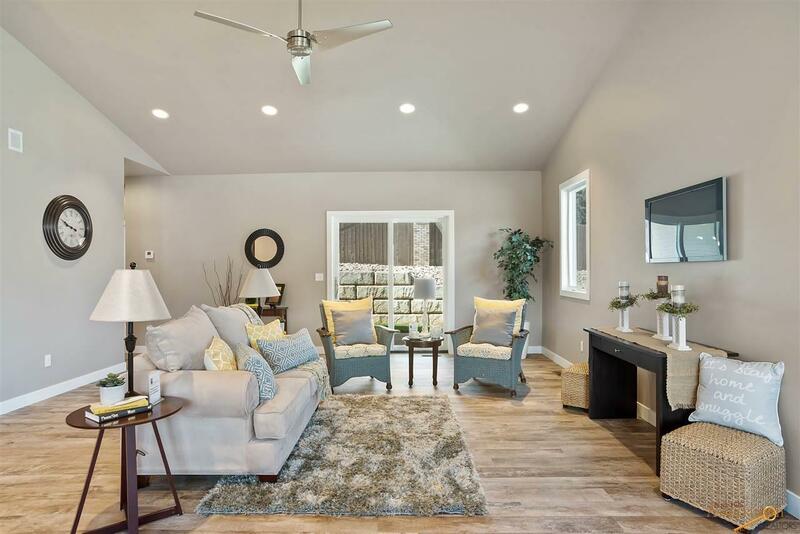 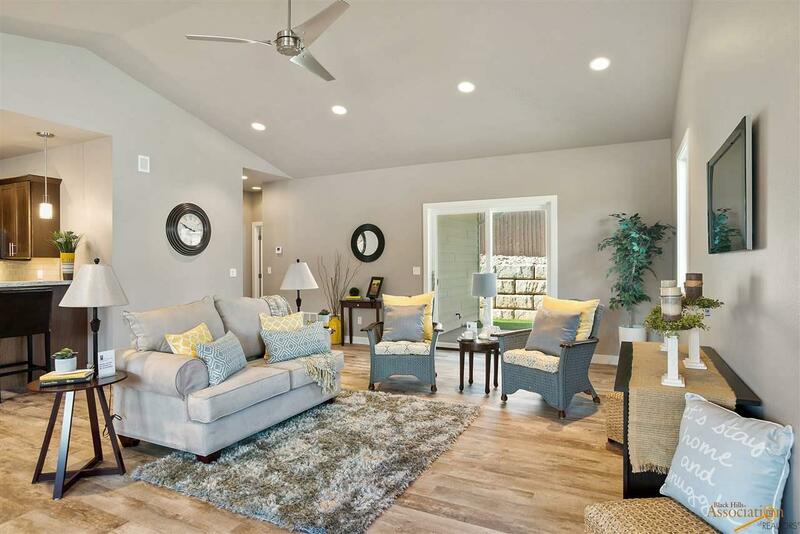 Open concept living space features upgraded LVT flooring, vaulted ceilings, and unique modern fixtures throughout. 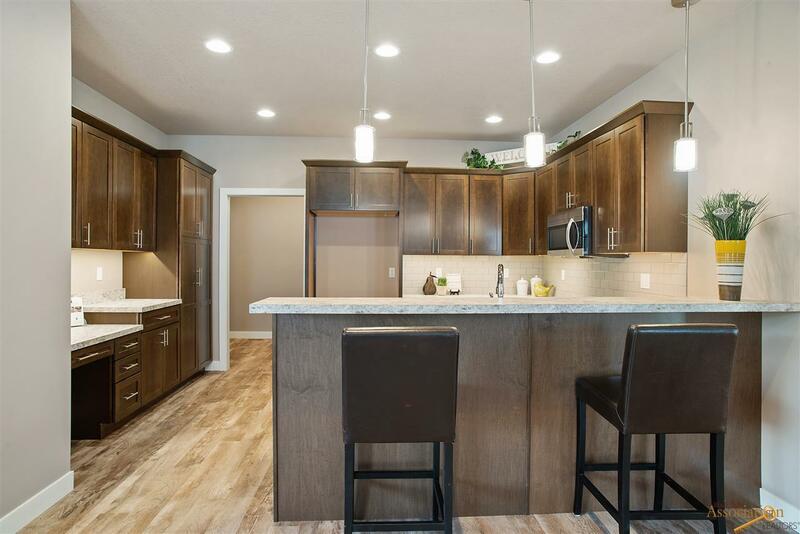 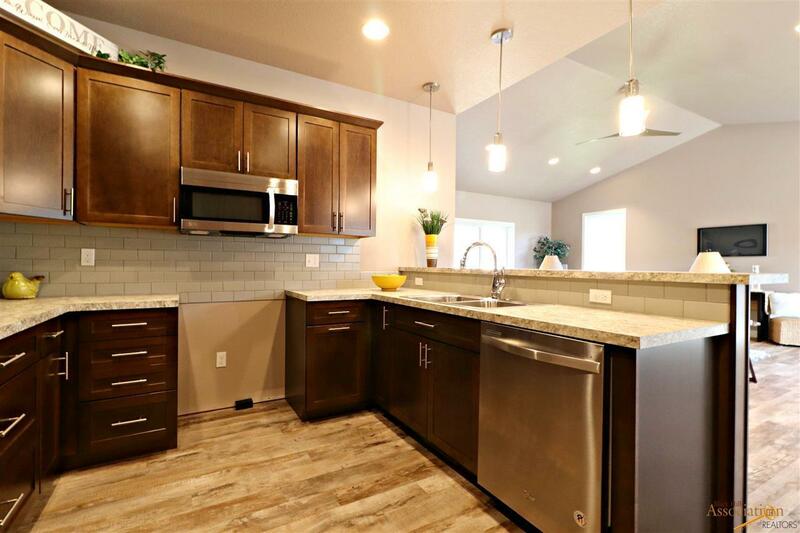 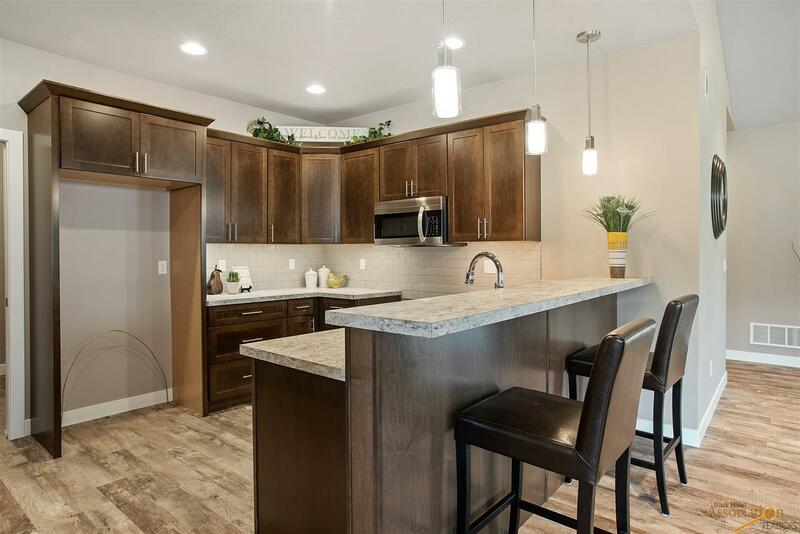 The kitchen offers a built in desk, dark maple cabinets, high-def laminate counter tops, tile back splash, stainless steel dishwasher & microwave and breakfast bar. 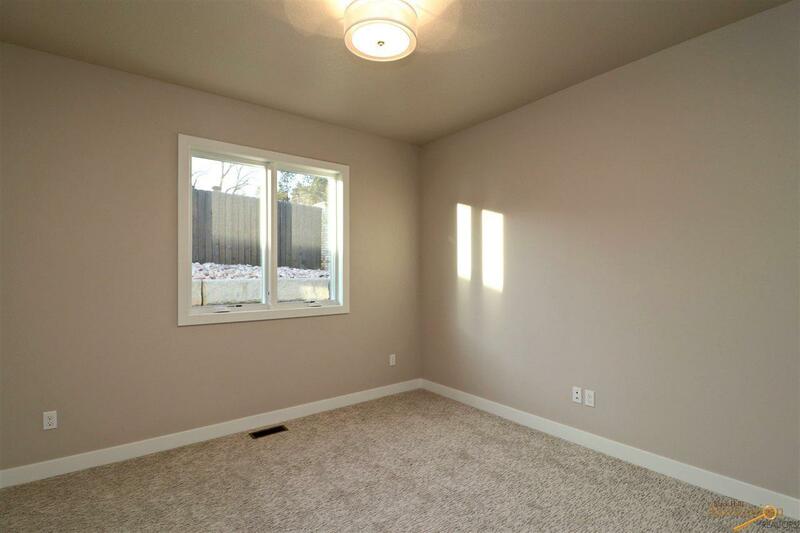 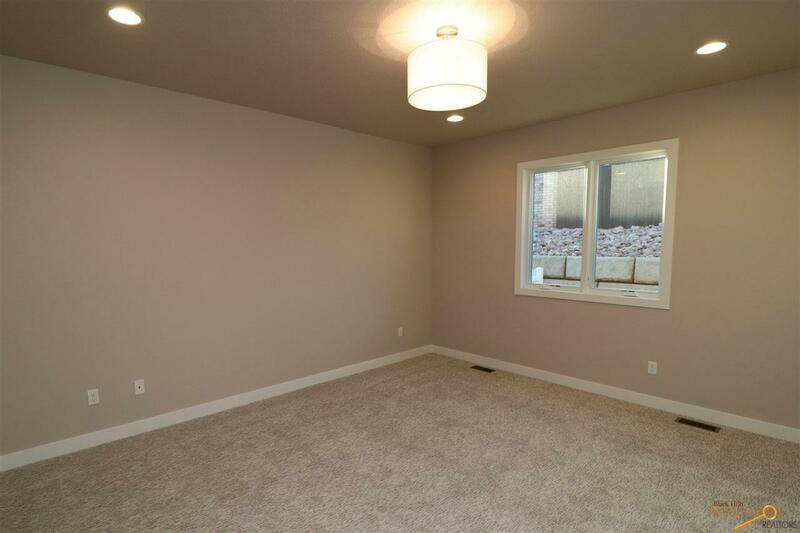 Spacious living room and dining area, sliders to covered 10x13 patio and semi-private back yard. 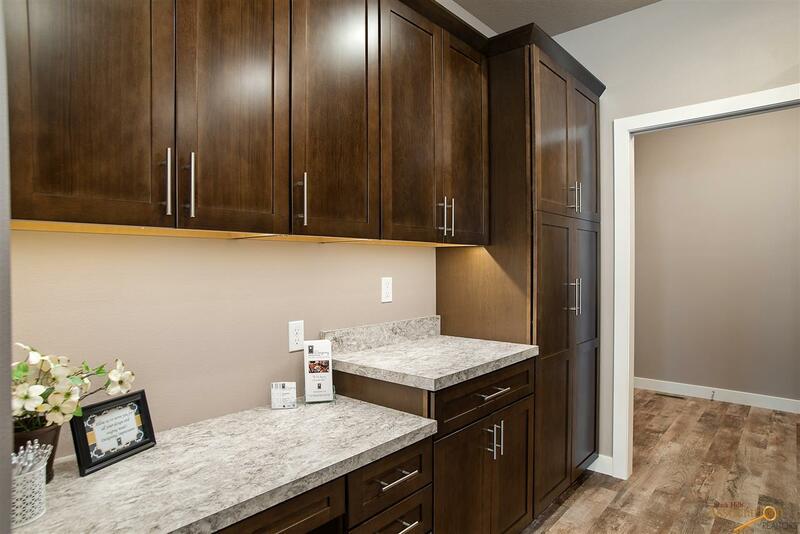 Laundry room has built in cabinets and bench! 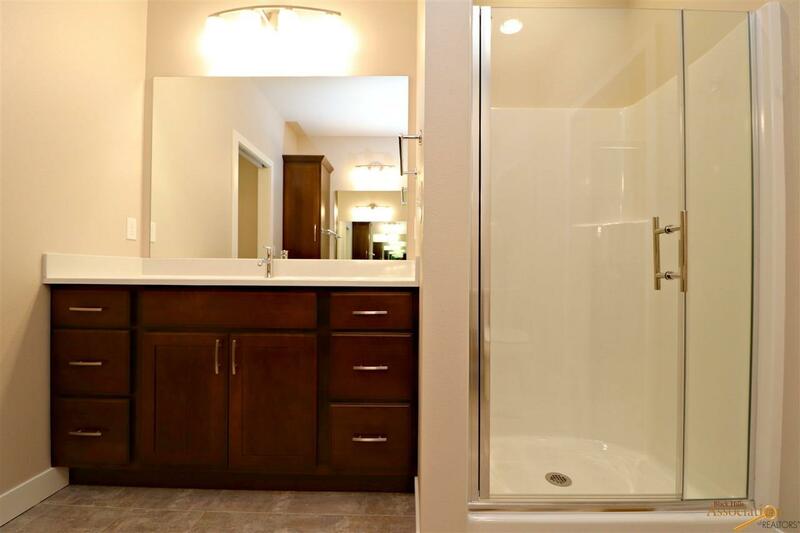 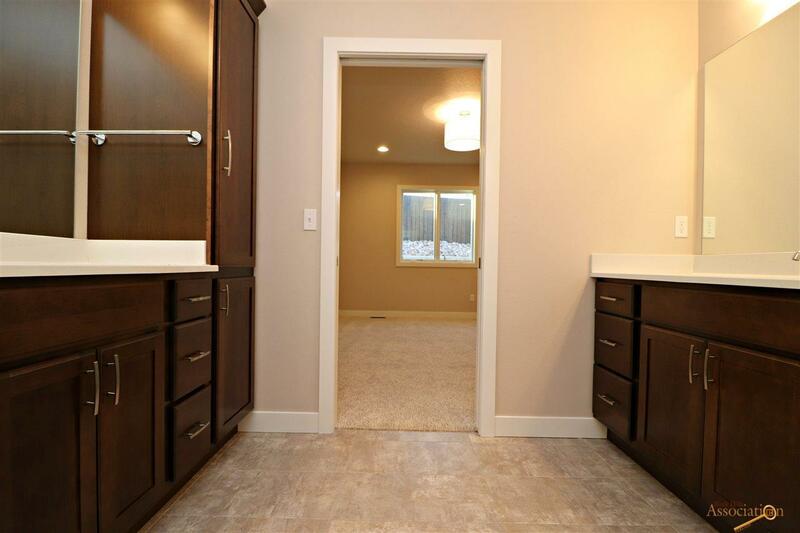 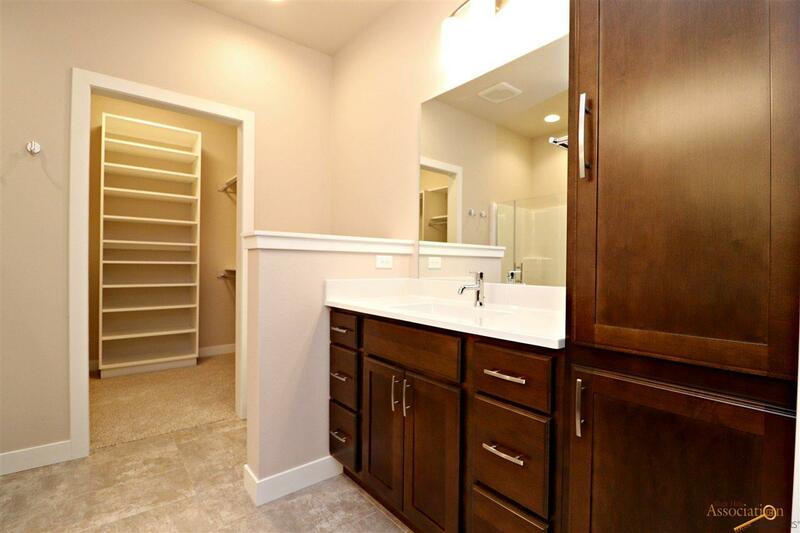 Master suite is a dream with attached bathroom featuring two separate vanities, plenty of cabinet space, shower with glass door and walk-in closet with great custom storage solutions. 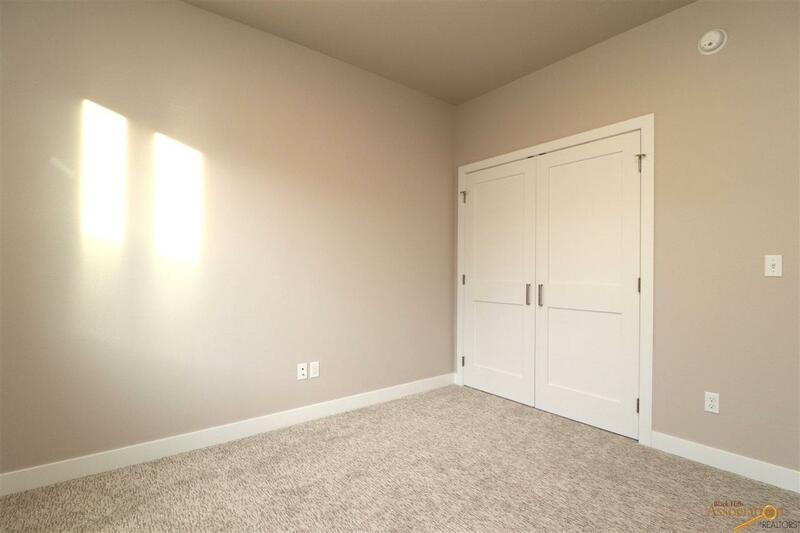 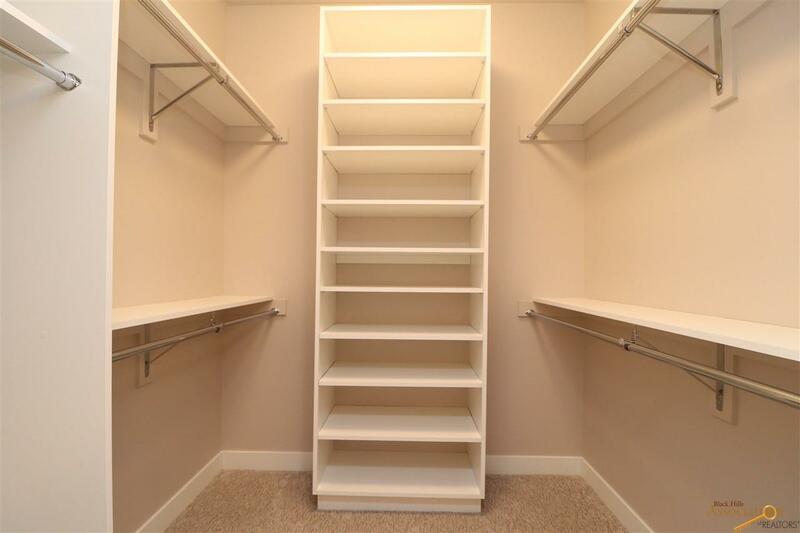 Second bedroom with large closet and full bath with tub. 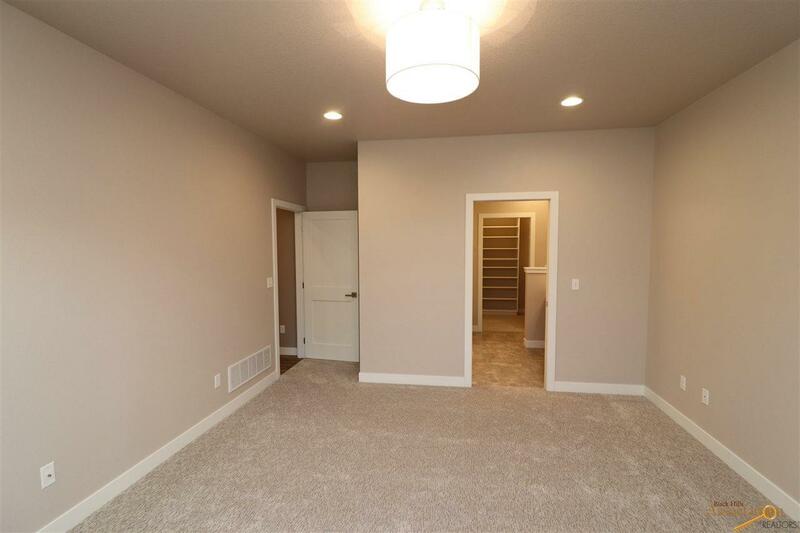 Upgraded Karastan carpet in both bedrooms. 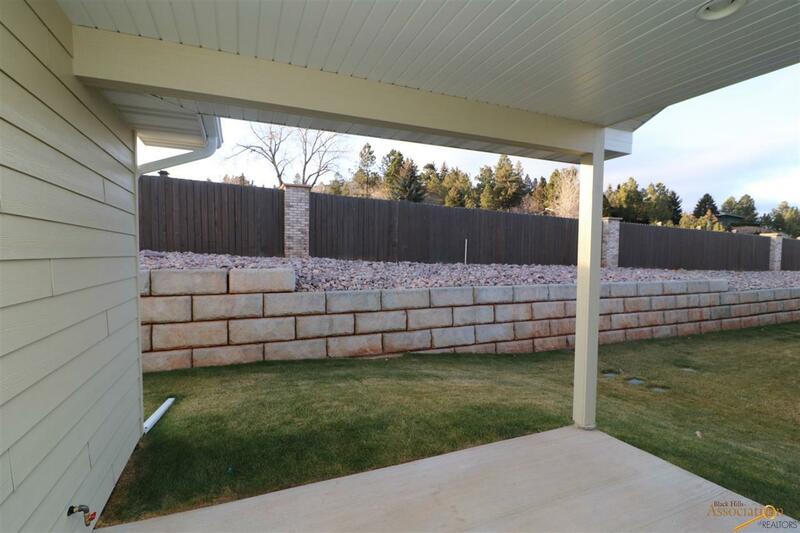 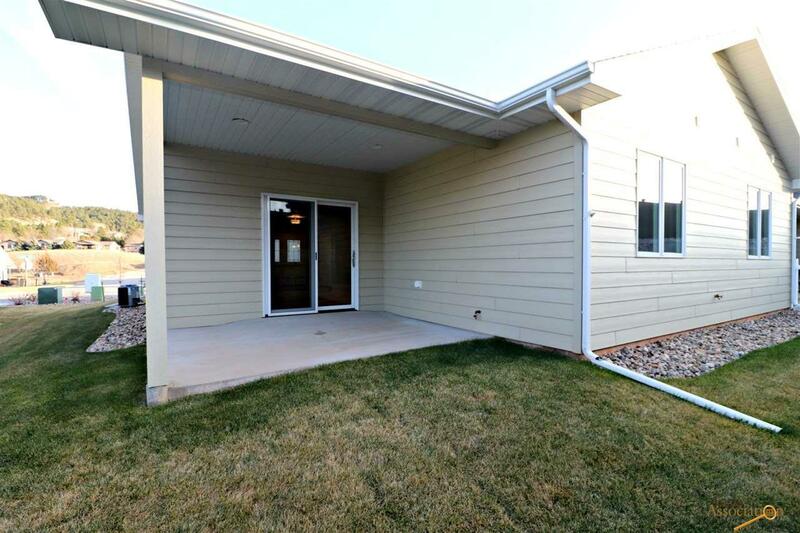 Convenient SW location (off Sheridan Lake Road) near schools, shopping, parks & restaurants!